Since I was a kid that I have always had a diary where I wrote about my dreams, sorrows and the stupidest things we can ever imagine but that, at the time, I thought it was really important and devastating. With time I not only lost the need of writing everything but I was just to busy too grab my diary and actually write something. I believe that as you get older you kind of think that it doesn’t make sense anymore to have a diary because you are a grown woman and you don’t need that piece of paper to free your sorrows and disappointments. But it is good something to have to think about things like what have you done or what have you learnt today? Do you regret anything in your life? And little things like this that make you go through your day and months or years of your life and this is why I bought my Q&A, a 5 Year Journal. 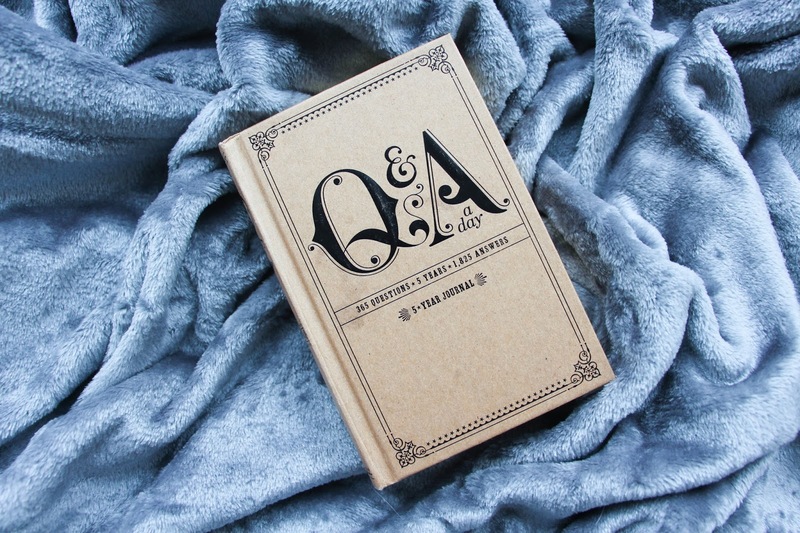 For you all that don’t know, this Q&A book is a 5 Year Journal that will give you a question to answer every day of the year for five years. So, imagine you are answering a question from the book now – next year you will answer the same question, and in five years too! It is like you are creating a time capsule at the easiest way. 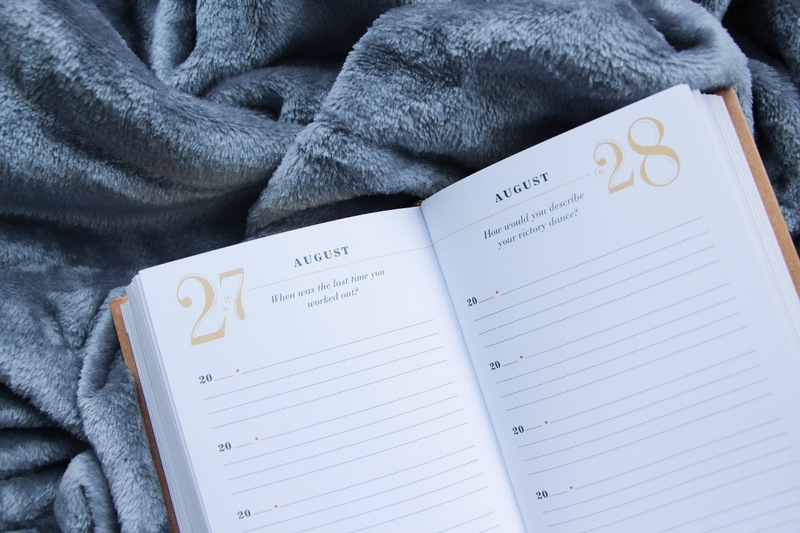 So, you will be able to compare what were you feeling, thinking or dreaming to be at a certain date or time of year and discover how things have changed. This is the mainly reason why I bought this journal. Because I would be able to see if my dreams, goals, feelings or thoughts about something or someone would have remained the same. I bought the hardcover version on amazon and I love how sleek and vintage it looks. It comes with a question per page and each pages give you a few lines per year so you can answer to every question for five years! The pages are golden edged which give a nice finish to the book. It is also quite small and compact, making it look amazing at your bed side table. I love it! So I have had this 5 Year Journal since 31st August and I have been filling it every day. I must say that sometimes it is quite easy not to keep up with it. I tend to forget when I do long shifts at the hospital and then it doesn’t feel natural answering a question that was supposed to be completed to days ago. This journal is something that you have to complete as part of your routine. Either it is before getting out of bed or when you are about to go to sleep. I always leave it at my bedside and grab it right before going to sleep. I love how it makes me thing about the day I have had. Or what I want in the future. The questions can be quite simple like “What time did you wake up today?” but can also be very deep, deep enough to keep you awake for a few hours thinking about it. It has been a wonder filling this journal and discovering myself everyday. I have not only bought one for myself but I have also bought another two to give to my closest friends. What do you thing about it? Is it something that you would like to have at your bedside?